Good news for Broadway Grand Rapids and all theatre and TV lovers. 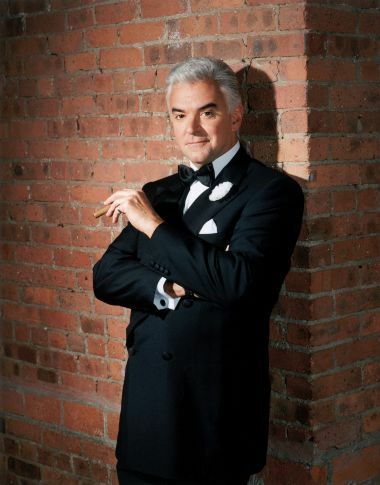 The Grand Rapids Press just reported that the longest-running musical revival playing on Broadway and the fifth longest-running production in Broadway history is coming to Grand Rapids with veteran stage and TV actor John O'Hurley at the helm. "Chicago" will play two shows at DeVos Performance Hall, 303 Monroe Ave. NW, at 7:30 p.m. May 10-11, presented by Broadway Grand Rapids. His theatrical credits include King Arthur in “Monty Python's Spamalot” in Las Vegas. The jazzy tale about ladies behind bars in Prohibition-era Chicago won six Tony Awards in 1997, including best musical revival and a Grammy Award for best musical cast recording. Tickets are $30.50-$55.50, available at the DeVos Place box office, Ticketmaster outlets, 800-745-3000 or ticketmaster.com. The performances originally scheduled for April 5-7 were changed due to tour schedules. Tickets previously purchased may be refunded at the point of purchase or moved to a new performance date by calling Broadway Grand Rapids at 235-6285. For more information, go online to broadwaygrandrapids.com.